About Us - Honeycomb & Co.
Honeycomb & Co. is a market style flower shop and full-service florist. We bring beautiful botanicals and unique, distinctive, and affordable décor to Northwest Denver, located in the Sunnyside neighborhood. We are a full-service florist, and we also offer flower deliveries. Inspired by the art of hospitality, we believe little details play a big role in expressing care. We seek to offer character and beauty to Colorado homes and events through custom designed florals and playfully sophisticated décor. Our floral inventory changes daily as we shop our local markets to provide our customers with the freshest blooms of the season. You can shop online or stop into pick up a custom arrangement, a pre-made bouquet, or your own chosen variety of blooms sold by the stem. And of course we'd be happy to deliver an arrangement for you. We also offer creative partnership, custom floral design, and delivery for any occasion: including weddings, parties and events, funerals and memorial services, corporate and business accounts, restaurants and shops, and everything in between. With our flower arrangements and creative installations, we hope to add beauty, style, and grace to every gathering and location. 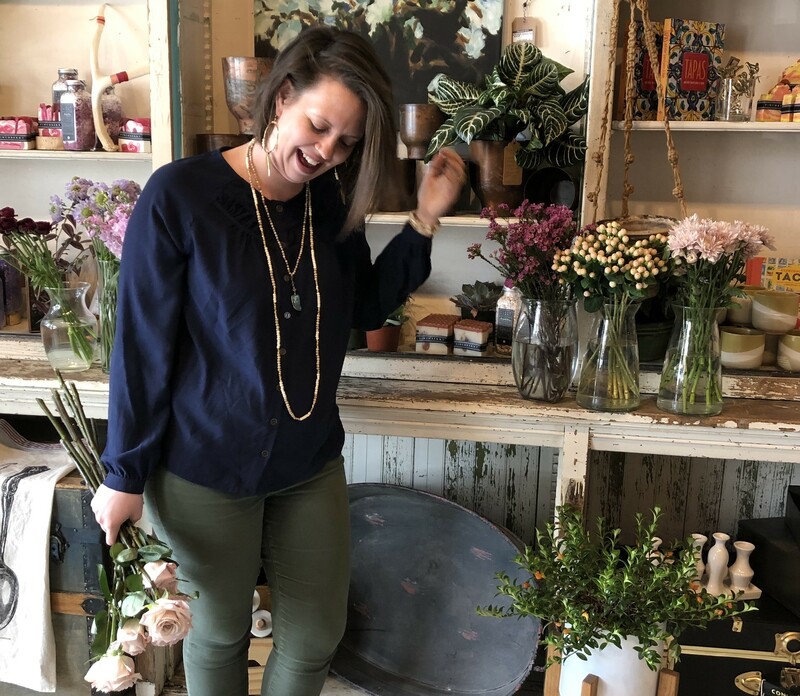 Jenna Rice, Colorado native and lifelong floral artist, founded Honeycomb & Co. after ten years of experience at local flower shops. Her vision was to create a welcoming shop environment that could act as an invitation to a greater sense of comfort and inspiration. This vision extends to the product collections we curate. Rooted in Jenna’s individual style and demeanor, Honeycomb goods are a balanced combination of characteristics: classic meets whimsy, cosmopolitan meets warmth, distinctive meets approachable. And they leave people feeling like they’ve discovered something original and lovely for their home.